Augmented Reality, or AR, is a live view of a real world environment, projected on to a screen and supplemented by digital elements. AR by uniqueAT is a clever application that brings Augmented Reality to architectural design. 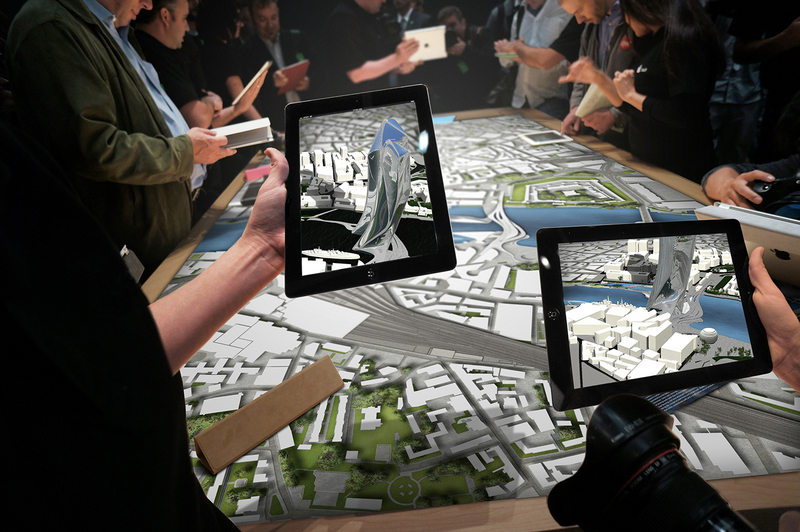 A 3D image of a site or location can be displayed on a tablet device. This image is augmented with a 3D Model of the proposed new building, allowing the user to view the design in its future environment. The real benefit of the application is that it can be utilised throughout the entire life cycle of the development – from the design stages, the planning application process, the engineering and construction phase, and finally as a sales and marketing tool. The application can be continually amended and updated as required, at a fraction of the cost of a physical Scale Model. AR by uniqueAT allows the user to zoom, rotate and navigate the design; it can also include built-in information modules, enabling images, videos, animations, graphics and texts to be displayed within the application.